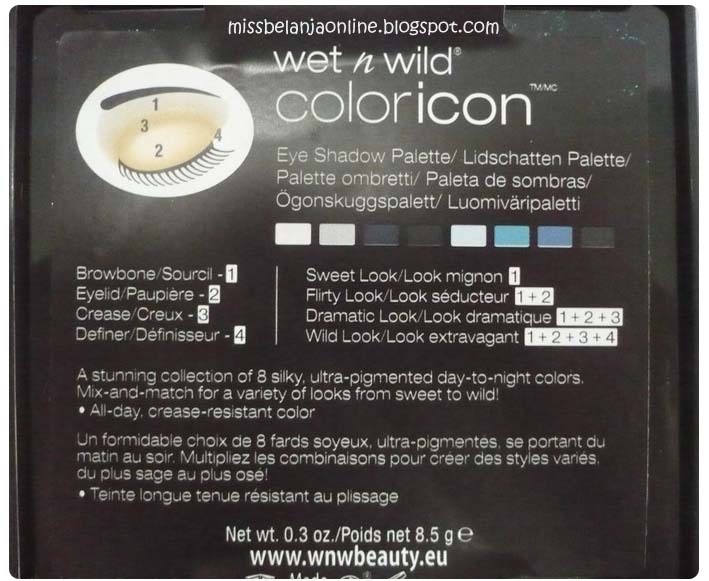 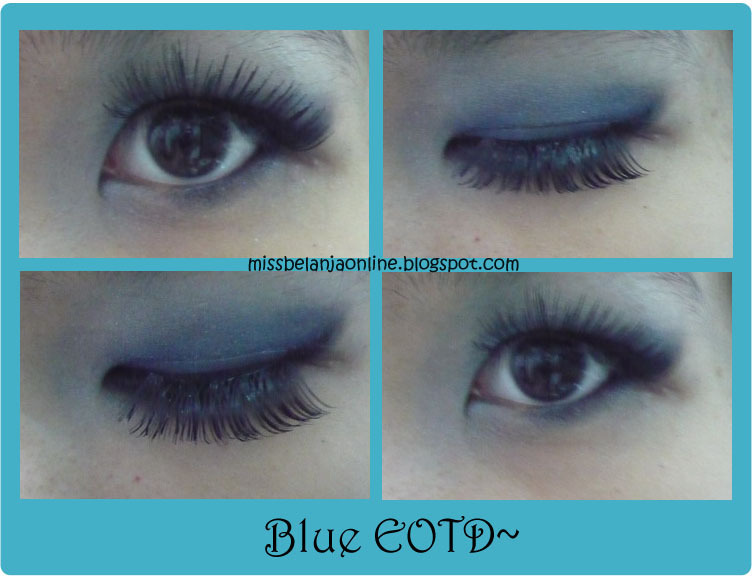 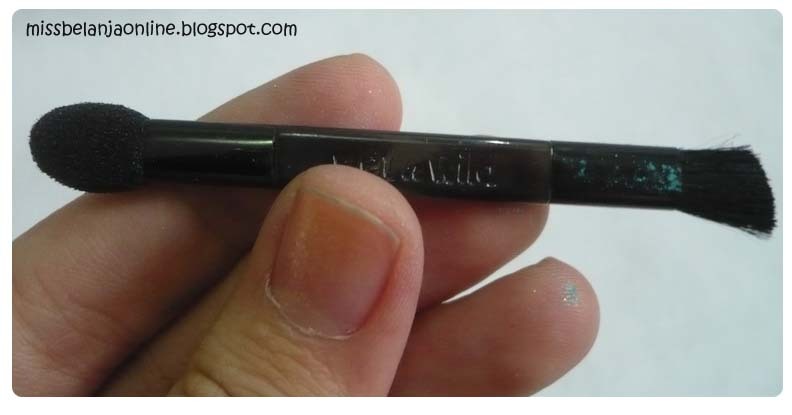 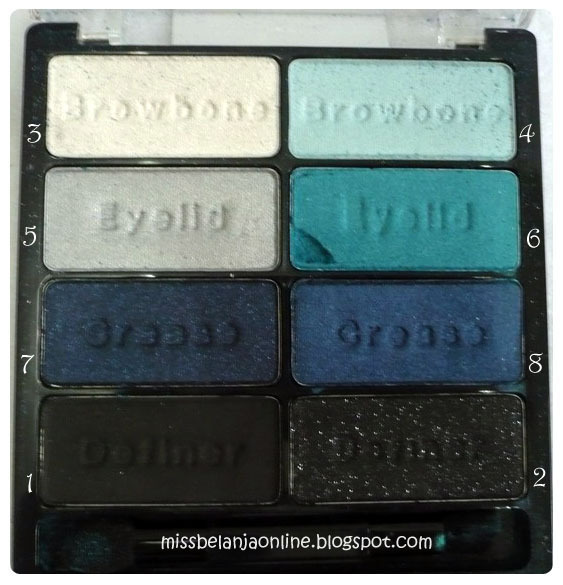 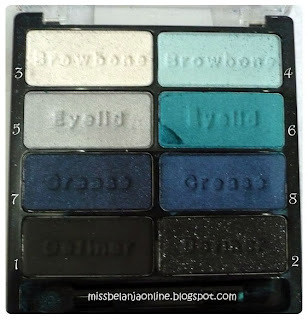 My shade is Blue Had Me At Hello~ It contains 8 different color, and each color is embossed with a name like "eyelid", "crease", "browbone", and "definer" (this is really help for the amateur like me). Though sometimes I don't apply the colors based on the word. 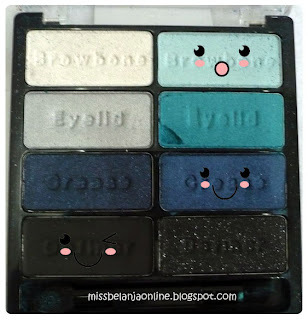 I create 2 different look with this palette, check them out. Which one do you like? the blue or the green one? I think the price is really affordable for 8 different color. 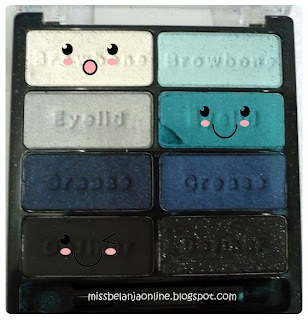 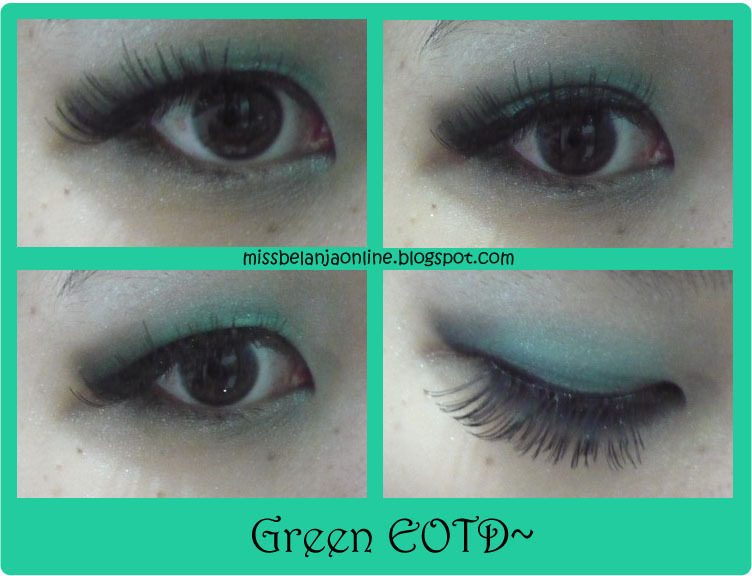 You can make several look with just 1 palette! 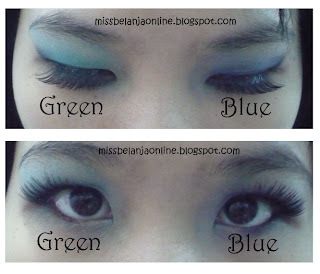 untung gak rusak banget ya sha, at least masih bisa dipake semua palettenya >< fake lashesnya nampol banget kekeke, merek apa sha?? Iya dit~ cuman kaca depannya aja yang retak..
aihh birunya cakepppss >.< hehehehe..
very pretty looks! the wet n wild shadows are so nice, good quality and very pigmented! 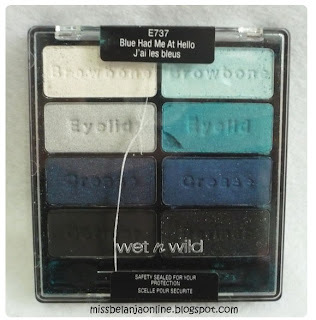 i'm having a giveaway on my blog for some b&bw works holiday products if you'd like to check out!